FILE - Facebook CEO Mark Zuckerberg testifies before a House Energy and Commerce Committee hearing on Capitol Hill in Washington about the use of Facebook data to target American voters in the 2016 election and data privacy, April 11, 2018. Facebook chief Mark Zuckerberg said Friday that the world's biggest social network has "fundamentally" changed to focus on securing its systems against manipulation and misinformation. Capping a tumultuous year marked by data protection scandals and government probes, Zuckerberg said he was "proud of the progress we've made" in addressing Facebook's problems. "For 2018, my personal challenge has been to focus on addressing some of the most important issues facing our community — whether that's preventing election interference, stopping the spread of hate speech and misinformation, making sure people have control of their information, and ensuring our services improve people's well-being," he wrote on his Facebook page. "We're a very different company today than we were in 2016, or even a year ago. We've fundamentally altered our DNA to focus more on preventing harm in all our services, and we've systematically shifted a large portion of our company to work on preventing harm." He said Facebook now has more than 30,000 people "working on safety" and invests billions of dollars in security. Zuckerberg's comments come at the close of a year when Facebook was roiled by revelations about the misuse of personal data by the political consultancy Cambridge Analytica in the 2016 U.S. election and on data sharing with business partners. But he said the questions around Facebook are "more than a one-year challenge" and that the California giant was in the process of "multiyear plans to overhaul our systems." "In the past we didn't focus as much on these issues as we needed to, but we're now much more proactive," he said. The comments follow a message from Zuckerberg in January, before many of Facebook's troubles emerged, when he outlined his goals of stemming abuse and hate and foreign interference, among other things, on the network used by more than 2 billion people. "My personal challenge for 2018 is to focus on fixing these important issues," Zuckerberg said in January. In Friday's message, Zuckerberg enumerated a series of steps taken over the past year, including fact-checking partnerships, advertising transparency and artificial intelligence to remove harmful content. 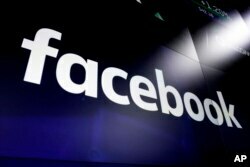 He added that Facebook's systems were also being retooled with the aim of helping "improve people's well-being," based on research it conducted. The research, he said, "found that when people use the internet to interact with others, that's associated with all the positive aspects of well-being. ... But when you just use the internet to consume content passively, that's not associated with those same positive effects." One of the changes aims to reduce "viral videos" that are shared across the Facebook platform. "These changes intentionally reduced engagement and revenue in the near term, although we believe they'll help us build a stronger community and business over the long term," Zuckerberg said.